Glendora schools and PTAs participated in Red Ribbon Week with the theme of " Life is a journey. Travel drug free." 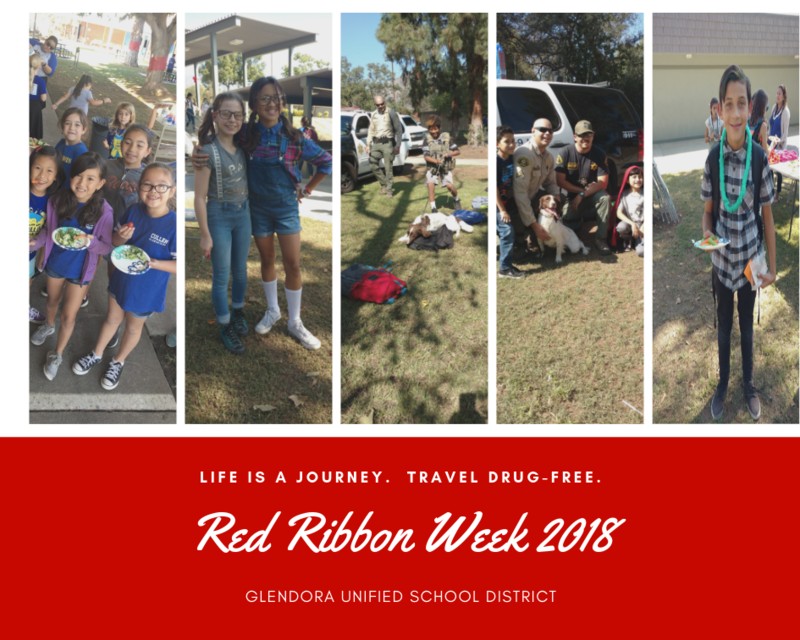 Glendora schools and PTAs participated in Red Ribbon Week with the theme of " Life is a journey. Travel drug free." This week was filled with activities for students and families, including a parent education night on the dangers of vaping and the introduction to GUSD's mental health program, "Glendora Healthy Minds'.